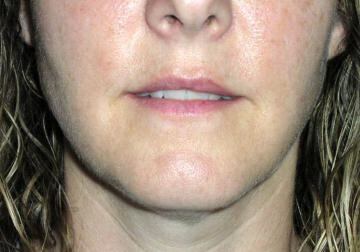 There is lack of substance and definition in the upper and lower lips as seen here. Volume was restored to the lips. 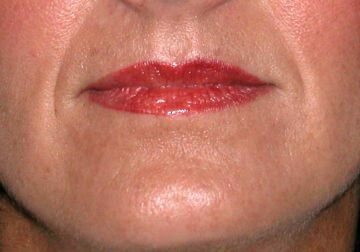 Notice a more defined cupid’s bow and demarcation of lip borders after treatment. Marionette grooves have been eliminated and the lip corners have been lifted. Marionette grooves are eliminated. Subtle fullness of lips was achieved consistent with her desire. Shows diminished fullness and thinning of the lips. Lip fullness and definition has been achieved. 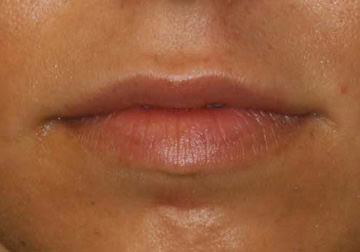 The patient was mostly concerned with the outer parts of her upper and lower lips where her lips had thinned out. The angle of mouth was drooping. 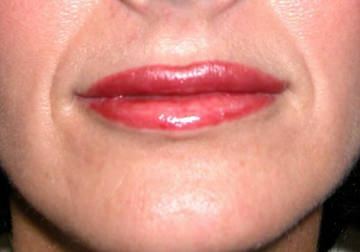 Fullness was restored to the outer parts of her lips and the angles of her mouth were supported with Juevederm filler.